K9- The canine (K9) Unit consists of six uniformed handlers and their canine partners. 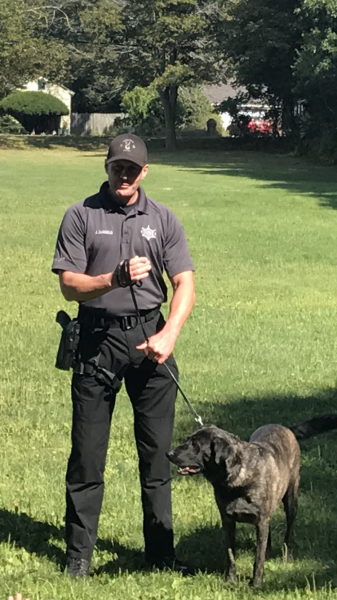 Duties include perimeter security, patrol, tracking and apprehension, narcotic detection, as well as assisting local law enforcement agencies (Mutual Aids and Warrants). Additionally, they work within the community performing demonstrations at local events. 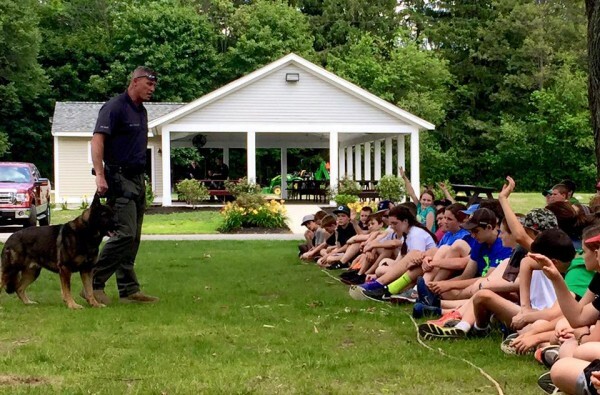 The K9 Unit is nationally certified by NAPWDA (North American Police Work Dog Association). 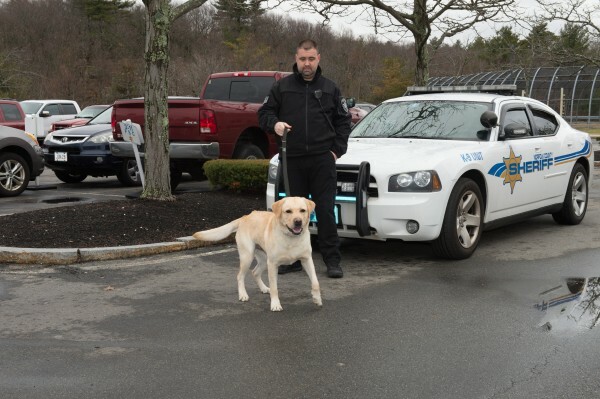 Officer Monaghan has been employed at the NSO since 2000 and a canine officer since 2013. He graduated from the Plymouth County Canine Narcotics Academy in 2016. 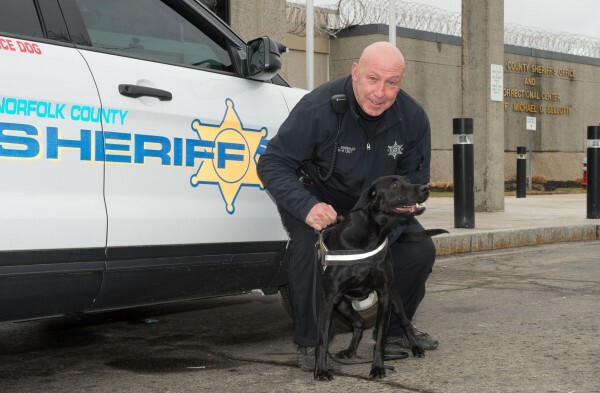 Officer Monaghan and his canine partner, Randy, who he rescued from the Easton Animal Shelter, both obtained national certification in narcotics detection from NAPWDA. Officer Monoghan is a member of NORPAC and the South Shore Task Force, a narcotic task force that executes high risk warrants. Officer Sheehan has been employed at the NSO since 1992. Prior to becoming a canine officer, he worked in the inside the facility and in the transportation department. He graduated from the Plymouth County Canine Narcotics Academy in 2016. Officer Sheehan and Sawyer are NAPWDA certified in narcotics detection. Officer Collins has been employed at the NSO since 1997. He worked in many posts in the correctional facility and on transportation prior to becoming a canine officer. 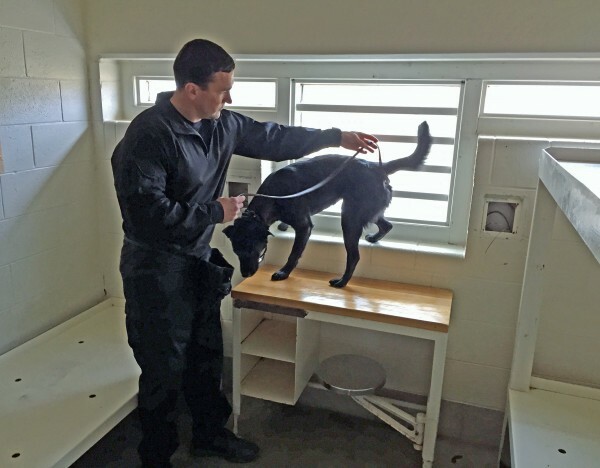 He graduated from the Plymouth County Canine Narcotics Academy in 2016. Officer Collins’ canine partner, Aiko, is a rescue dog from Tennessee donated to the NSO by the Scituate Animal Shelter. Officer Collins and Aiko are NAPWDA certified in narcotics detection. In November 2017, Officer Collins and Aiko received their recertification from NAPWDA. Officer DeAngelis has been employed at the NSO since 2002. 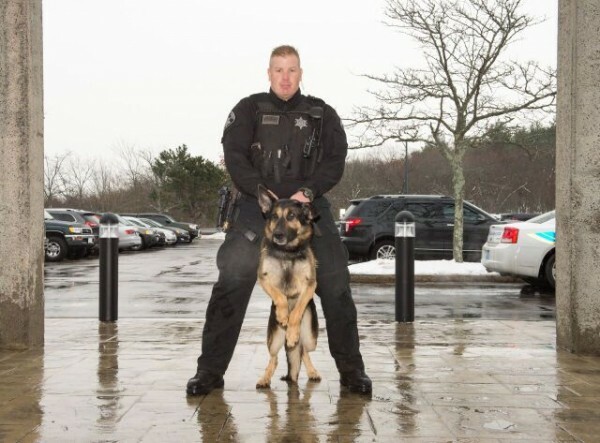 He graduated from the Plymouth County Canine Narcotics Academy in 2016. Officer DeAngelis and his canine partner are NAPWDA certified in narcotics detection. In November 2017, Officer DeAngelis and Barron received their recertification from NAPWDA.